The countries in South America have varying laws and strictness when it comes to online gambling (and gambling in general). For this reason we are going to be creating separate pages for most South American countries as listed below. As a good rule of thumb though, the online casinos listed on this page will be playable in most countries. Some countries – for example Panama and Costa Rica – actually offer international online gambling site regulation services, unfortunately these are very lapse and in no way compare to the big regulatory bodies like the UKGC and MGA. In fact most casinos licensed with these weak authorities tend to be pretty much rogue as they know they can get away with pretty much anything as the regulatory body will in most cases do absolutely nothing. South America is an emerging market which is rather appealing to online casino players and operators alike. Not every country in South America is as open and accepting to online gambling as its neighbours. However, given other continents’ gambling laws such as North America and Asia, many would consider the lucrative South American online gambling market to be the next best place to play, after Europe. 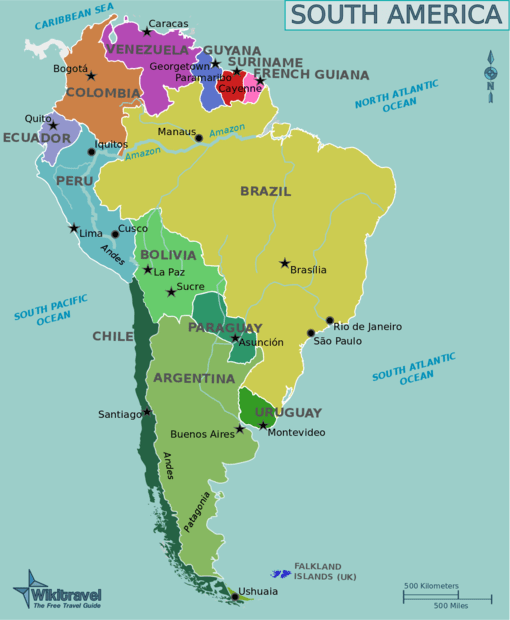 Over the course of this article, we will look at most of the major South American countries briefly, and showcase just what each will and won’t let you do when it comes to online gambling in South America. To begin with, we should get a general overview of the South American gambling laws of each country. That way, you’ll have a better idea of what happens to be legal, and not legal depending on the South American country that you happen to reside in. As far as South American countries and their gambling laws go, each is quite different from the other. Some of them permit gambling (some of which are no holds barred, bona fide gambling countries). Others are far less generous with their take on online gambling. With billions of dollars’ worth of cash wagered every year on gambling, though, even some of the less flexible gambling countries are starting to open their eyes and take notice of the lucrative South American gambling market. Argentina is the biggest of the bunch when it comes to the amount spent by players on gambling. Over $5 billion per year is wagered by Argentine players. Officially, Argentina has licensed online casino gambling, but only for Argentine casino sites and there aren’t many of those to write home about. Then you have countries like Chile, which do not officially license any online casinos, and yet they are quite happy letting their players use offshore casinos to go about their gambling activities. Peru and Panama are fully onboard with online gambling activities. They have no qualms about letting players play at either local licensed or offshore casino sites, although if we’re being honest, Panama (like Costa Rica) is considered a Central American country, not a South American one. Colombia doesn’t regulate online gambling but the government has hardly made any efforts at all to blacklist online gambling. Ecuador used to be fully legal when it came to online gambling, although since 2010 all forms of online gambling have been prohibited. Even in South American countries where gambling is prohibited, the authorities are far too interested in the illegal casino operators to deal with locals who infringe and break the law. For those players who can’t access local online casinos, playing at offshore casinos seems to be the best option. Offshore casino sites are licensed outside of the countries where you happen to reside. They could, for instance, be licensed out of Curacao, the United Kingdom, Malta, Gibraltar, Costa Rica, Alderney and any other number of licensing jurisdictions. Very few South American countries go about hunting down players who play illegally online. Because of this, there is virtually no punishment for doing so. Could South American players need a better excuse to pop along to offshore casinos? More to the point, not only do the local authorities not hunt down their own local players, they seldom ever hunt down operators (save for a few countries), and don’t blacklist casinos. Because they choose not to blacklist casinos, most South American countries turn a blind eye when players do decide to play at such sites. Because of this, players based in South America don’t really have to mask their location or identities. This eradicates the need for proxies and VPNs (virtual private networks) which are generally required by offshore casino players in continents such as Asia and North America. Most of the offshore casinos which accept players based in South America will offer gameplay in either Spanish or Portuguese, and players can sometimes (although really) be able to deposit using their local currencies, too. Often, most players opt to use the US dollar to deposit into these offshore casinos, as it seems to work better with the payment methods that most of these sites can offer. A host of promotions and bonuses are often available and can be claimed by players based in South America. It is not uncommon to find mighty welcome bonuses, regular daily, weekly and monthly offerings such as prize draws and giveaways, as well as redeposit deals and loyalty bonuses up for grabs when a player decides to play at an offshore casino site which caters to South American players. South American players love to wager on their favourite sports. When they aren’t betting on football and other popular sporting events, they are having a crack at online slot machines, lottery games and bingo. The former two are particularly big on the continent. Funnily enough, poker games tend to be considerably less popular in South American than on every other major continent. That being said, video poker and video bingo games do tend to do fairly well when they are offered to players based in South America. Should I gamble when in South America? The question is, why wouldn’t you want to gamble in South America? Most countries have some flexible enough gambling laws, and although by and large, the continent is some way behind Europe when it comes to casino gambling laws, South America is a very open and accepting continent for online gambling. Most countries permit some form of online gambling and almost all of those which don’t turn a blind eye to the online gambling activities of their local population. Given that almost all online casinos remain non-blacklisted in South American countries, South American players really do have the pick of the litter when it comes to choosing an online gambling venue to play at, second to only Europe, as we’ve said.